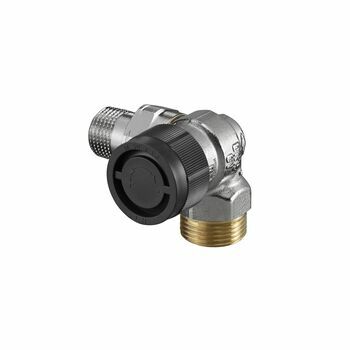 OVENTROP-Thermostatic radiator valve "Series A"
For use in two pipe central heating systems with circulation pump. Valve with high kv value for zone control, one pipe heating and gravity heating systems. All valves of the "Series A" have a black protection cap.